Why would I need self storage in Conroe, TX? There are a variety of reasons why you might need self-storage in Conroe, TX. How much is a storage unit in Conroe, TX? The cheapest storage unit in Conroe, TX is $41.00 per month. What size storage units do you have available in Conroe, TX? In Conroe, TX we have sizes that range from 5'x5' to 10'x30' to suit your storage needs. How much is it for a 5'x5' storage unit in Conroe, TX? The cheapest 5'x5' storage unit in Conroe, TX is $41.00 per month. Conroe is a large city in southern Texas, counted as one of the major cities within the Houston-Sugar Land metro area. It's about 40 miles north of Houston, but it has established itself as its own unique city rather than just a small suburb. The area has experienced massive growth in recent decades and was the country's fastest-growing city for a period between 2015 and 2016. A growing economy, active arts and culture community, numerous scenic parks and convenient everyday amenities have attracted many new people to Conroe. Conroe is named after Isaac Conroe, a Houston businessman who had stakes in the local lumber industry. In 1881, Conroe built a sawmill in the area. The mill began to flourish after a tram line was built to connect it to a nearby railway, coinciding with a lumber boom that encouraged more people to settle in Montgomery County. It didn't take long before Conroe was more than just a place for cutting lumber. Other investors started their own factories in the area to process livestock, bricks and cotton, and the city began to grow. Throughout the 20th century, Conroe experienced many population spikes, with the most notable being in the 1930s, 1980s, 1990s and early 2000s. As a resident of Conroe, you'll find plenty of local amenities ranging from convenient, everyday necessities to enjoyable attractions such as parks and cultural institutions. Grocery stores, gas stations and coffee shops are plentiful throughout the city, and many community schools dot the residential neighborhoods of Conroe. Many of the city's parks feature historic elements, such as the preserved artifacts at Candy Cane Park. The Lone Star Monument and Historical Flag Park is another unique local park, honoring the numerous flags flown throughout Texas history. These parks and others provide extensive green space, picnic areas and walking trails. 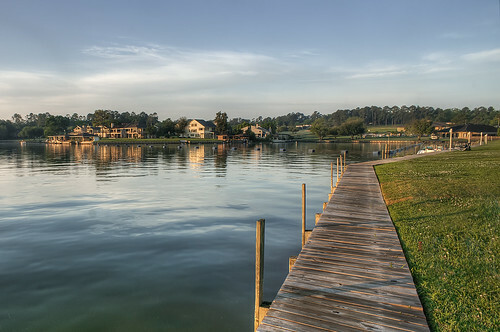 Lake Conroe is another local highlight, located just north of Conroe's downtown district. It offers many recreational activities, including boating and fishing. Downtown Conroe is home to many of the city's top art and cultural institutions, the oldest of which is the 1935 Crighton Theatre. You can attend a number of theatrical and musical performances in the city's theaters or attend any one of the many festivals that take place downtown. The majority of public schools in Conroe are part of the Conroe Independent School District. Most of the private schools in the area are either Catholic- or Christian-based campuses. In addition, a few small public college campuses are located in Conroe. Utilities: Conroe's primary utilities providers include the city utility department (water and sewer) and CenterPoint Energy (natural gas). The deregulated electricity market in Texas allows you to choose your own electricity provider. Electricity companies in the Conroe area include CenterPoint Energy, Entergy and JustEnergy. Garbage and Recycling: Waste Management facilitates the weekly collection of both trash and recyclables. Your collection schedule depends on your home's specific location. Transportation: The city bus service, called the Conroe Connection, operates several different routes throughout the area. Thanks to a large and diverse housing market, the housing prices in Conroe are fairly affordable. Prices tend to be just slightly higher than the national average, but they are far less pricey than the Houston metro area average. On any given day, you can typically find hundreds of different properties for sale and rent, so it should be easy to locate something that fits your needs and budget. Our lowest priced units in Conroe, TX average $41.00 per month. 68 people have reserved units in Conroe, TX in the past 30 days. There is 1 location within Conroe, TX's city limits. There is 1 location in Conroe, TX that offers AC and Heating features.